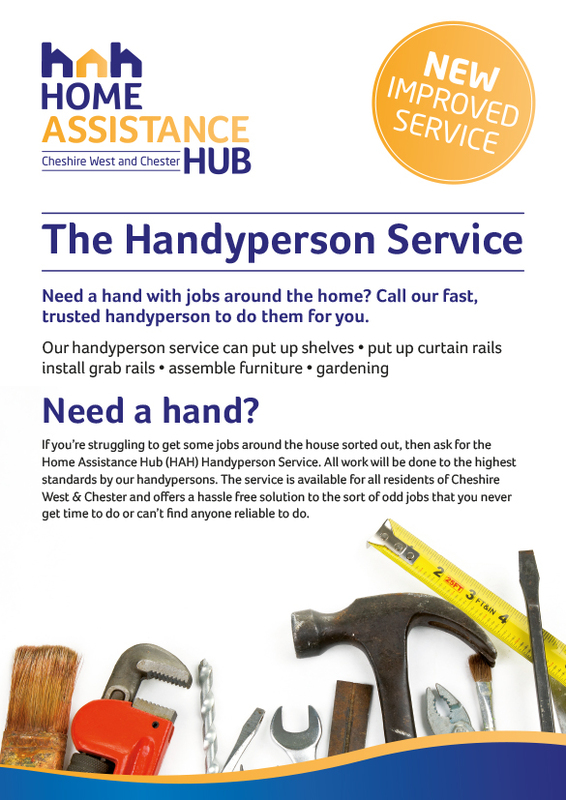 The Handyperson Service is available to all residents of Cheshire West & Chester. This service provides affordable minor repairs and handyman-type jobs at a very reasonable cost. Cheshire West and Chester residents pay £26.50 per hour for labour, plus the cost of materials needed for all trade activities. These costs cover all works undertaken by the Handyperson Service with the exception of Electrical & Gas services, which are charged at £40 per hour.